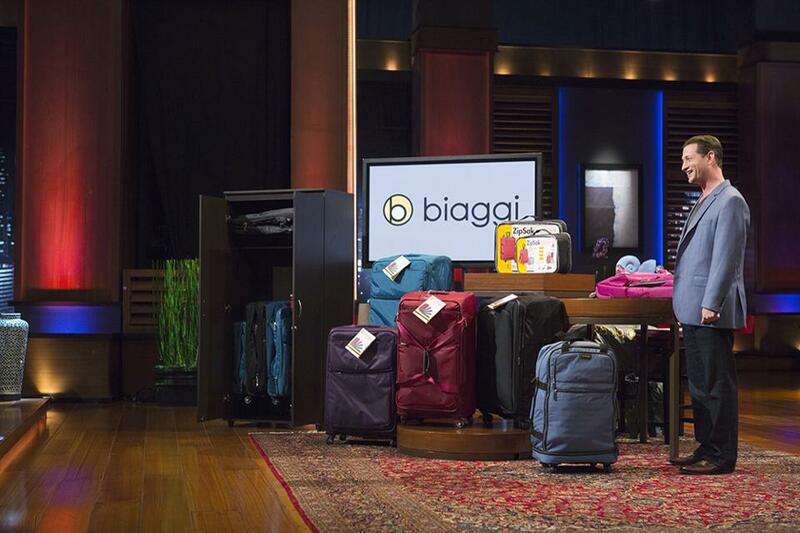 UPDATE: I was recently notified that BIAGGI will be on Shark Tank tonight (Friday 12/5/14) so I wanted to repost this review. 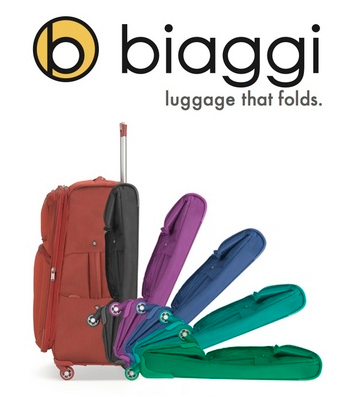 Additionally, Biaggi has agreed to renew the promo code “KOSHER15” for an additional 15% off anything on Biaggi.com. Enjoy. After spending 2 full weeks in Israel with my wife and son, all I can say is that I’m glad that the luggage I was testing (for this review) was from Biaggi. We decided that since we were renting a car for the entire trip it was smarter to bring our car seat for both the plane and rental car. Little did I realize that it would be a major hassle handling it in the airport with all our luggage! The only thing that saved me, to be honest, was the fact that we had 3 Biaggi suitcases with us. All 3, in varying sizes, have four wheels and can move in any direction. This made my life a little less complicated than it could’ve been when checking in with El Al at JFK with multiple pieces to check-in. Pushing the luggage throughout the airport, and once we arrived in Israel, was a breeze, even for the largest/heaviest piece, since the four wheels made it easy to maneuver. Another really great feature, especially for those who live in the city or in otherwise tight quarters, is that each of their pieces of luggage folds up into about half it’s full size, making each suitcase easy to store under beds, on top of closets, etc. 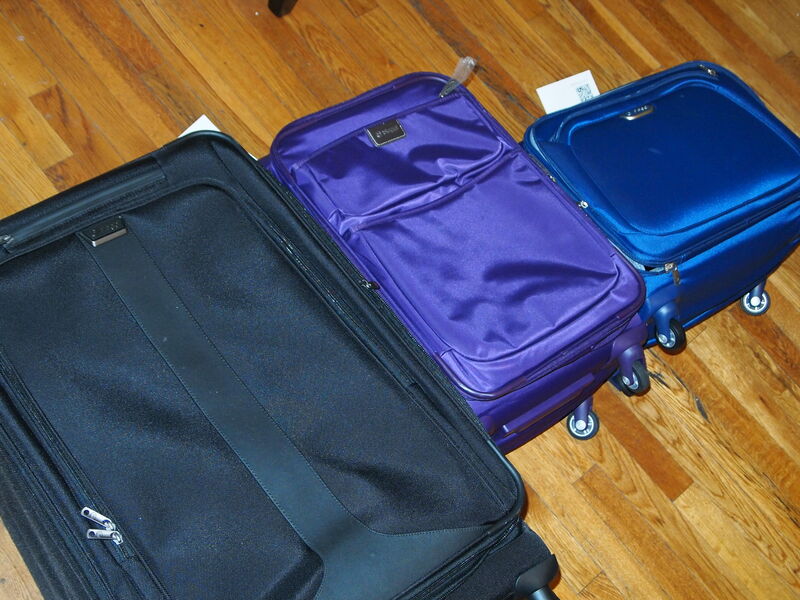 Once the suitcase is empty, folding the suitcase down takes less than 60 seconds and little effort. The exterior is strong and protected my clothing and possessions well. The zippers are strong as well, as we packed one of them over the allowed weight limit (thankfully they didn’t charge us!) and the zippers didn’t budge or break. 22″ Contempo Foldable Spinner Carry-On in Purple — Great for short trips, could fit as a carry-on. 16″ Volo Foldable 4 Wheel Overnight Business Tote in Blue — Perfect for overnight business trips. Fits 13″ laptop and protects it, no problem. 30″ Tecno Expandable 4 Wheel Spinner Upright with Suiter in Black — I believe this is of the largest suitcases in their selection. It can pack nearly enough for two weeks for 1-2 people. The four wheels help it move really well, even when it’s packed to capacity. This one also fits a suit really nicely in a special compartment. Now, keep in mind, these are not your run of the mill cheap-y suitcases. These are strong, well crafted, and all around solid suitcases. They are a bit more expensive in general, but they come with a warranty of 5 years for the Comtempo & Volo collections, and 10 years for the Tecno collection. When giving me the luggage to review, the makers of Biaggi also gave me a discount code for my readers to use if purchasing from Biaggi.com. During checkout, make sure to use the discount code: “KOSHER15” for 15% off your total price. That’s a pretty sweet deal, especially considering it’s a pretty awesome product.